I am pretty sure that if you have read a couple of skin care posts or seen my instastories you will know that I am having a big problem with my skin. It's has dry patches, spots, looks red, very sensitive and I can't seem to find anything that helps. And so I have decided to have a skincare overhaul and adapt a new skin care routine. I am one week into the new routine and so far my skin is feeling more nourished and certainly hydrated, however I still have a long way to go with battling my dark circles and breakouts. 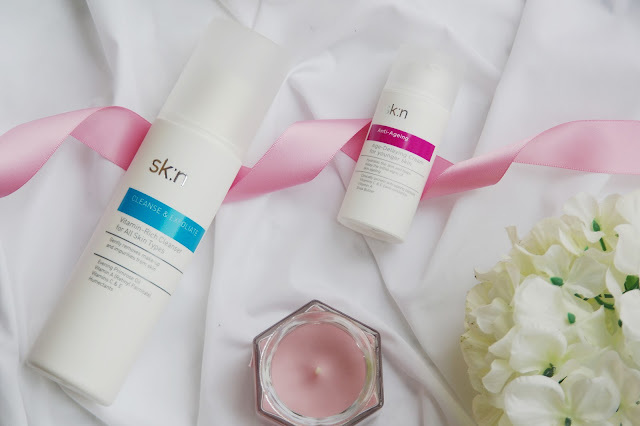 And so, I wanted to share a couple of products that I have been using from Sk:n Clinics. Before we do that I just wanted to tell you a little bit about Sk:n Clinics. So Sk:n is the country's leading skin clinic offering more highly medically trained staff than any other chain of clinics. They pride themselves on having the most regulated treatment approach in a meticulously clinical environment. No one offers more specialised skin treatments, from mole excisions to anti-ageing injectables, tattoo removals to facial resurfacing, or uses more advanced technology to do so. Sound pretty great, right? I tested out the Facial Exfoliating Cleanser For All Skin Types and Anti-Ageing Cream For Younger Skin and adding these two products into my skin care routine will be super easy, and I couldn't wait to see if they help me in my mission to get radiant and blemish free skin, or at least try. When it comes to developing a skin care routine the first thing you need to do is find out what your skin type is, as it will be easier to determine which products are best for you and which ones to avoid. I have been battling combination skin for years. I have super dry and sensitive parts but I also have an oily t-zone which makes it difficult to get a routine that works with both skin types. Cleansing is an important part of a skin care routine, actually it's essential for clear and radiant skin. I really like using Soap and Glory's Vitamin C Daily wash, but seeing as I need to change up my skin care routine I started my day with this Facial Exfoliating Cleaner £28.00. This gentle creamy cleanser contains glycolic acid which exfoliates old skin cells, clears pores and keeps skin really clean. It also is pH balanced and contains lots of nice vitamins for your skin meaning that it also moisturises and rejuvenates the skin. First impressions with this cleanser is that it's slightly foaming cleanser and I haven't used anything slightly foaming in years because of my very sensitive skin. However I didn't have any bad reactions and felt my face was very soft and clean after using, rather than tight like other soaps for my skin type. The cleanser applied well and had a refreshing scent that left my face feel squeaky clean. 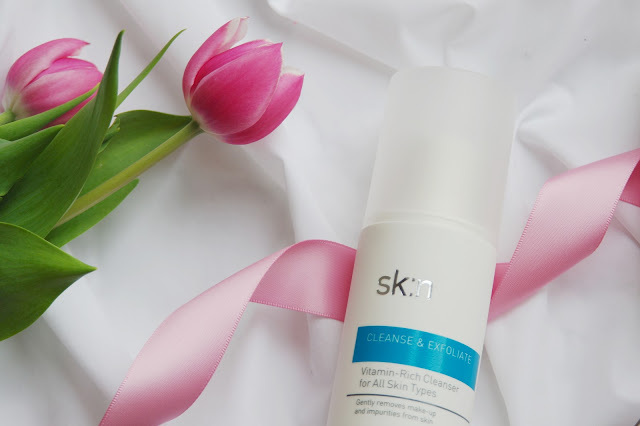 While sk:n Facial Exfoliating Cleanser for all Skin Types is not specifically for oily skin types, exfoliating products are helpful in tackling oily skin, as exfoliation can temporarily reduce the amount of oil on the skin. I have been using this facial exfoliating cleanser for just over a week and I do feel it has given me a fresher and brighter look because it removes the dead skin cells everyday. Obviously, this is only from a weeks use so I am pretty excited to see what my skin will be like in a month or so. But it claims to refine thicker skin, soften lines and wrinkles and lightens some dark marks, but only time will tell. Next we have a product that I was really looking forward to trying the Anti-Ageing Cream For Younger Skin £35.00. 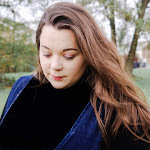 Ever since having my little lady the late nights, the milestones, the early wake up calls and the threenager tantrums have taken it's toll on my skin. So it makes complete sense to begin to take care of my skin and delay the initial signs of aging. 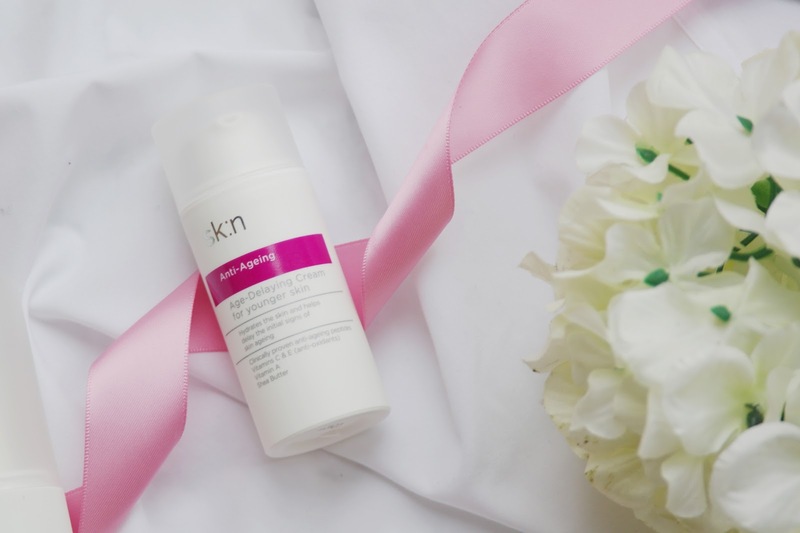 Sk:n Age-Delaying Cream for younger skin hydrates the skin and helps delay the initial signs of ageing. Clinically proven peptides target fine lines and loss of firmness, Vitamin A helps regulate cell turnover and anti-oxidants fight free radicals. When it comes to preventing the signs of aging it can be difficult to understand what you should be using and when, ageing of the skin in inevitable. So adding a cream, lotion or oil into a skin care routine will help battle the signs of aging. I have been using this one for just over a week. At first, it really didn't help my skin. As soon as I cleansed my face and then used my essence I used a small amount of the cream and added it to my face, eyes and neck. However, it really made my skin sting. So I had to take it off. But I am perserving with it, and my skin seems to be getting less sensitive with each application, so it could have been because it's something that my skin isn't used to. It claims to hydrate the skin and helps delay the initial signs of skin ageing where peptides target fine lines and loss of firmness by stimulating the production of hyaluronic acid and strengthening collagen in the skin. This cream also contains Vitamin A helps regulate cell turnover. But like the cleanser it will be something that I will continue to implement into my skin care routine, so watch this space. 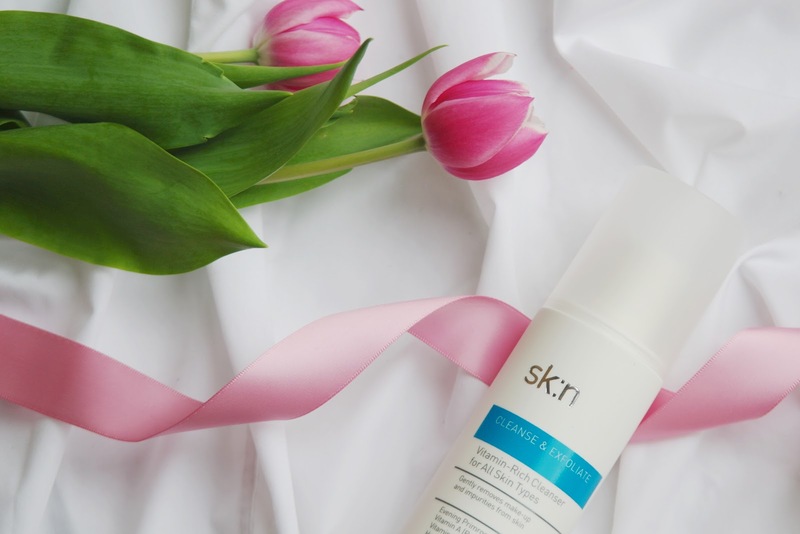 So what do you think of Sk:n Clinics? Have you ever tried their products? If you haven't would it be something that you would try?